Like gin and tonics, I always assumed the Manhattan to be an old man drink. But one evening, I sipped off of a friend’s manhattan (who happened to be an older gentleman) and was delighted at its hint of sweetness and underlying complexity. The key to the manhattan lies in the addition of sweet, red vermouth, which balances out the tartness of bourbon (which is the whiskey most often used these days, though rye is traditional). 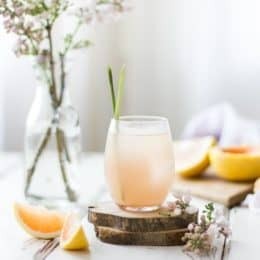 A dash of Angostura bitters adds depth, and the drink is served either stirred with ice and strained into a martini glass, or poured over ice in a rocks glass. 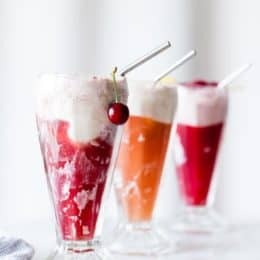 A glowing maraschino cherry is the typical garnish, and sometimes the dyed-red juice from the jar is added for sweetness and color. 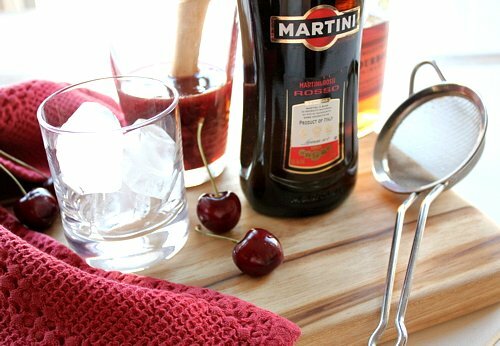 With the abundance of sweet cherries in the market, I decided to make a manhattan the bojon way, by muddling fresh cherries with the other ingredients. 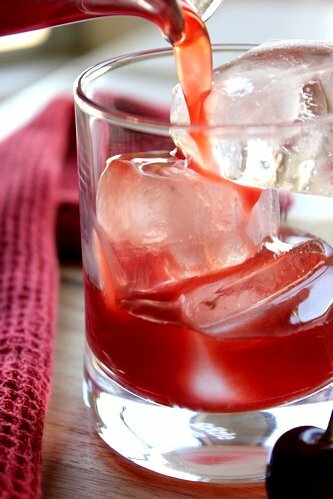 The result is a tangy, smooth beverage that’s strong enough for an old man, but made for a girly drinker like myself. I thought of titling these “womanhattans” but a Google search revealed that cocktail consultant Ryan Magarian beat me to it with a womanhattan made with raspberry vodka added to the usual suspects. So if you think of another clever name for this drink, let me know. Meanwhile, cheers. 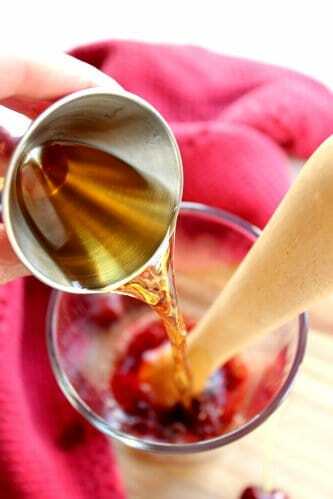 Beware of splattering cherries as you muddle; wear an apron, and use a tall, thin vessel, such as a cocktail shaker, to contain the splashes. 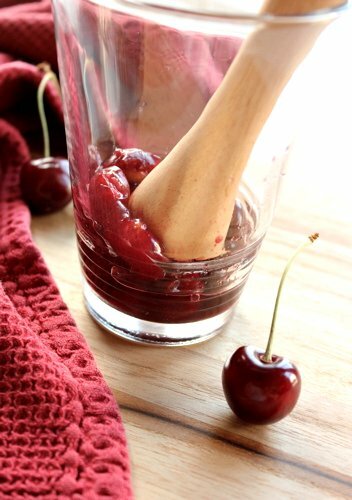 In a tall, thin vessel, such as a cocktail shaker, muddle the cherries to a juicy pulp. Add the whiskey, vermouth and bitters, stir, and strain into a rocks glass over ice, pressing on the pulp to extract as much liquid as possible. 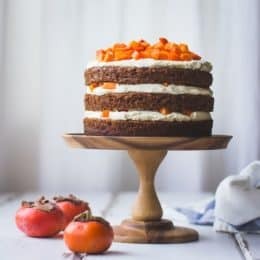 (Be sure to eat the boozy pulp, but watch out for the cherry pits!) 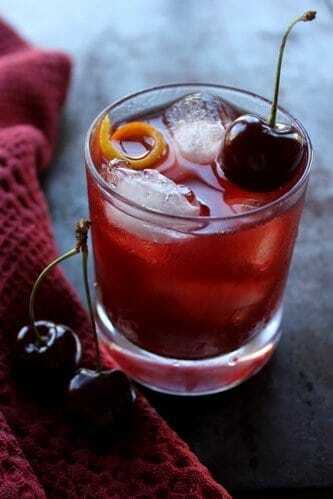 Garnish with the orange twist and cherry. 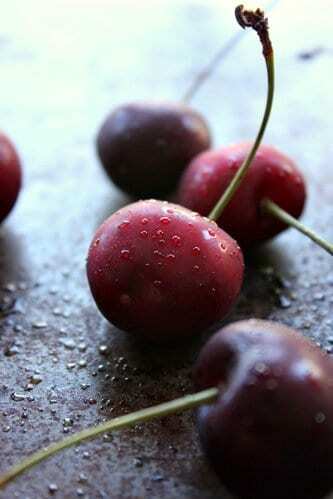 Since there are not any fresh cherries in the stores yet, any suggestions what type to use in the meantime?? frozen? canned?? 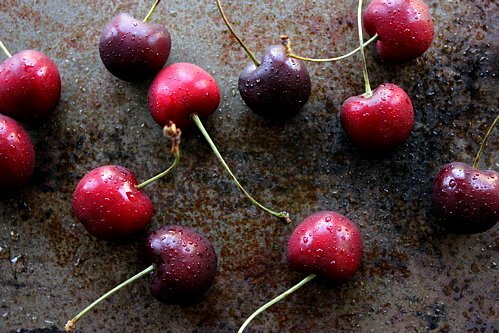 Hi Joyce, I like these mostly during cherry season, but you could certainly try them with canned or frozen cherries, too. You could also try fresh muddled berries if those are in season where you are. Cheers! I found some frozen pitted cherries in my slightly upscale grocer. I thawed a handful, then muddled that. I also used 2 dashes of orange bitters as a variation. 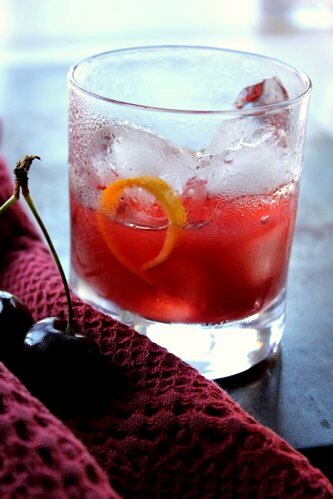 If I’m feeling like I need a hint more sweetness i put in a splash of the maraschino cherry syrup, especially if the cherries aren’t that sweet. Hi Gary and Paula! I’m so glad you like this drink, and perfect for the holidays I’m sure. :) Thanks for the sweet note! Love the idea to mix old fashion and Manhattan together. My boyfriend calls my spin on the Manhattan a Miss-hattan! Just a thought for the name.